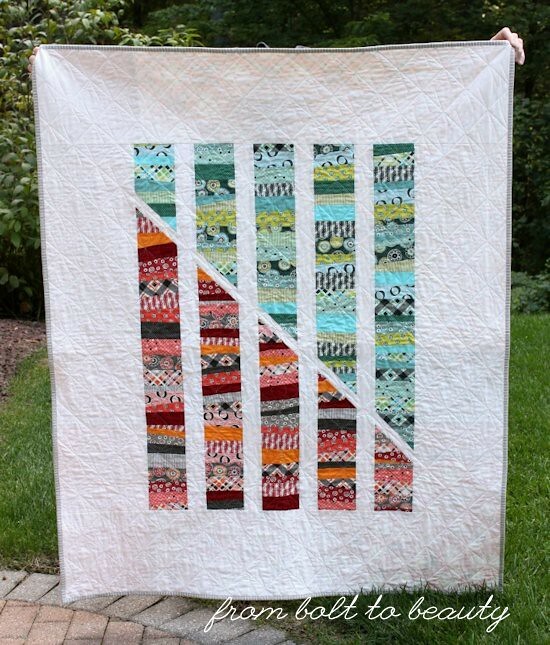 My marathon of summertime piecing has given way to a marathon of fall quilting, and it feels good to wrap up another project! 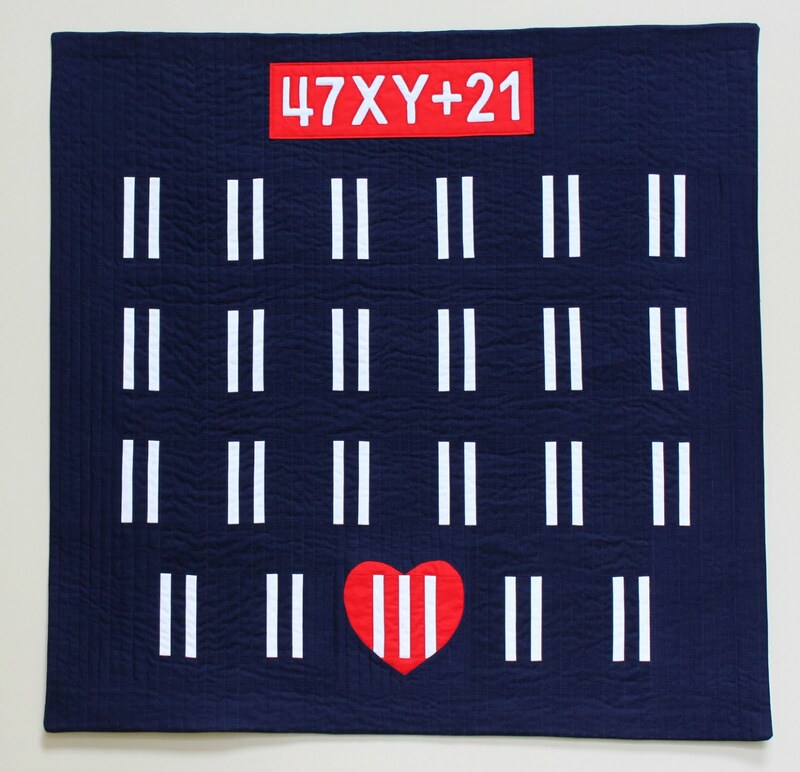 My Ode to Art Gallery quilt, first written about here, is done. In typical Michelle fashion, I pieced a mostly monochromatic backing, in shades of teal. (I also did that here and here.) And then, predictable again, I followed certain seam lines to create a simple allover quilting pattern. 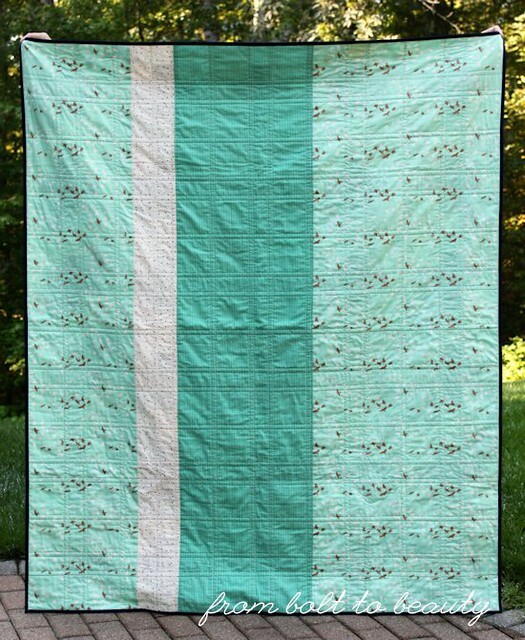 Finally, I bound the project in the same Kona Nautical used for the pluses, and—ta da!—I have another finished quilt! You can’t tell from the above picture, but the deeper teal fabric is from Anna Marie Horner’s Loominous line. I got it in a scrap bag (there were many one-yard-plus cuts in that “scrap” bag! ), and it’s really not my thing, at least not for a quilt front. But it works well here, as the star of the back. Are you an Art Gallery fan, too? Who’s your favorite AG designer, or what is your favorite AG collection? Let’s gush about the fabric manufacturer that invites us to “Feel the Difference” in the comments! Despite those finishes, all from the past two years, I still have jelly rolls in my stash! 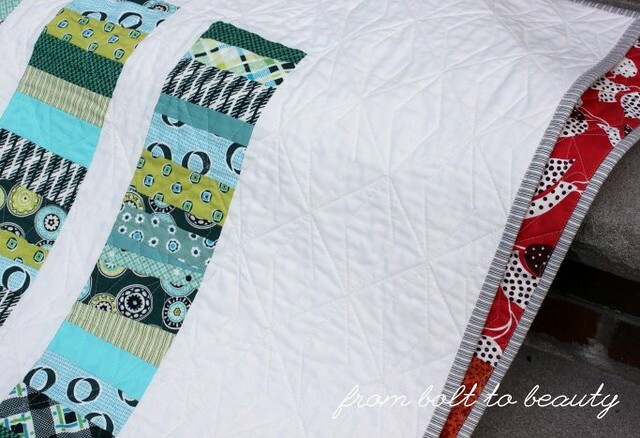 National Sew a Jelly Roll Day is motivating me to change that. 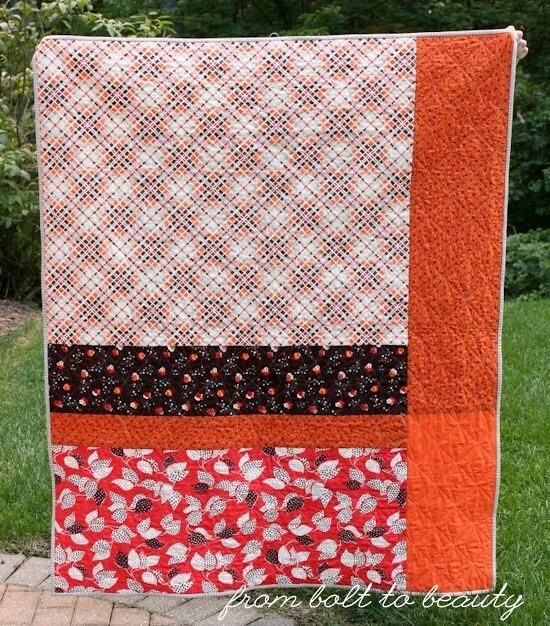 In fact, I have a jelly roll tutorial that will debut later this month. 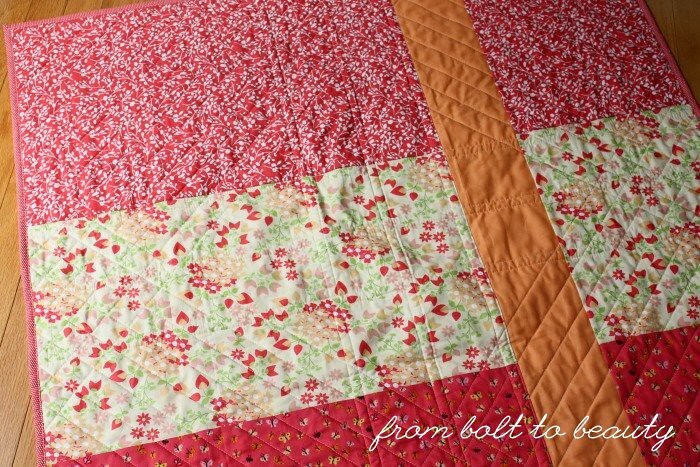 It’s a follow-up to my Ridiculously Easy Jelly Roll Quilt, and I’m calling it my Still Pretty Simple Jelly Roll Quilt. I look at the quilt! I cut the strips from a jelly roll of Denyse Schmidt’s Franklin fabrics into shorter 5½-inch lengths. Some of them I used as is, without cutting them down further. I trimmed others width-wise until I had a good variety of shapes. This was all done improvisationally, without measuring or worrying whether I was cutting the fabric at right angles, which created a pleasant wonkiness. I separated these bits of fabric into warm and cool colors and started sewing them together. After that I paper-pieced the blocks divided by the white diagonal line and assembled the top. Then this project sat for almost a year, without even being basted. The back features more Denyse Schmidt fabrics. Typical Michelle move! Usually I procrastinate quilting a project because I love it as a quilt top and I don’t want the quilting to mess things up. In this case, I was feeling pretty blah-de-blah about the project until I started the quilting. I took a cue from Jacquie Gering’s new book—Walk, which I highly recommend—and started with an all-over grid. Then I went back and quilted diamonds inside that grid. This project, with its vast negative space needed something more than my usual straight-line quilting. 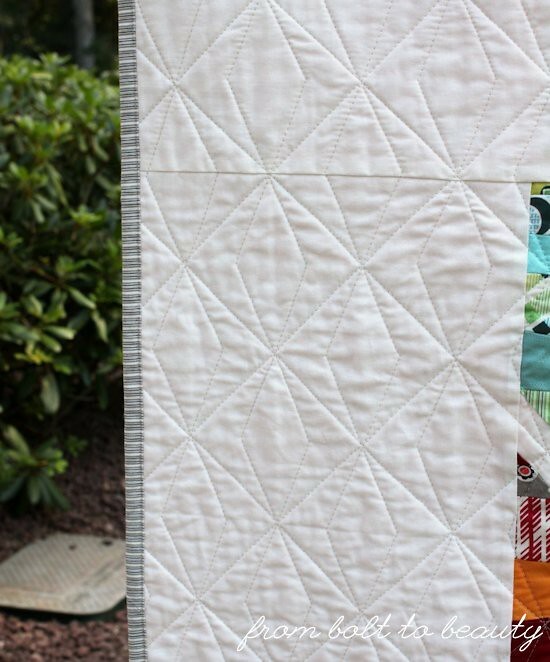 The texture that Jacquie’s approach creates is what transforms this quilt into something special. This quilt is going to a good friend. 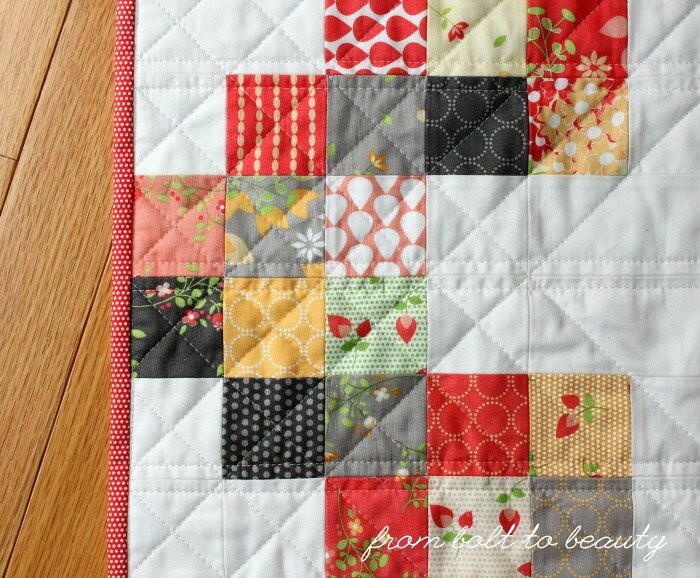 I hope that she doesn’t read my blog and this quilt will be a surprise! The subtle stripe, also from the Franklin collection, frames this project nicely. 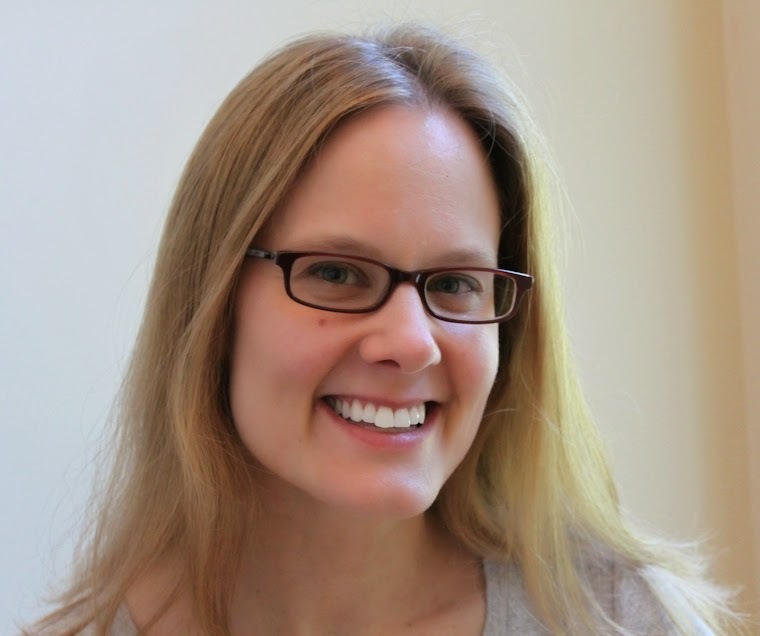 Do you have a relationship with jelly rolls? 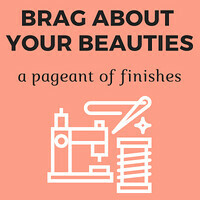 Fess up: How many are in your stash?! I have waited ten weeks for the silence to return, and I deserve some quality time in my sewing space now that it has. The salmon, yellow, and gray in these fabrics are so pretty. 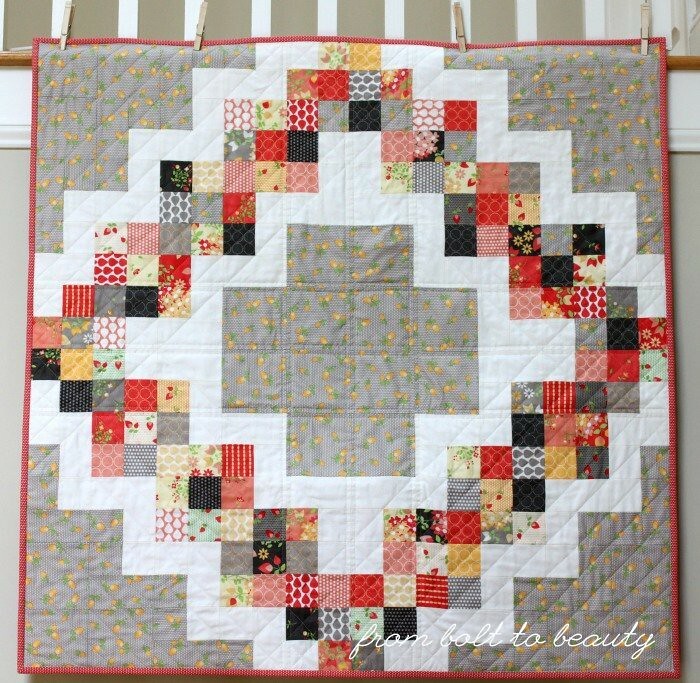 I’ve sewn this pattern, Cheryl Brickey’s Candy Circle Quilt, before, back in 2014. (See the tutorial on the Moda Bake Shop here.) I don’t usually tackle a quilt pattern more than once, but I had a single charm pack of Corey Yoder’s Sundrops, and it was all that I needed to create the lovely variety in this ring of squares. The back was a great place to use up some stashed half-yards. 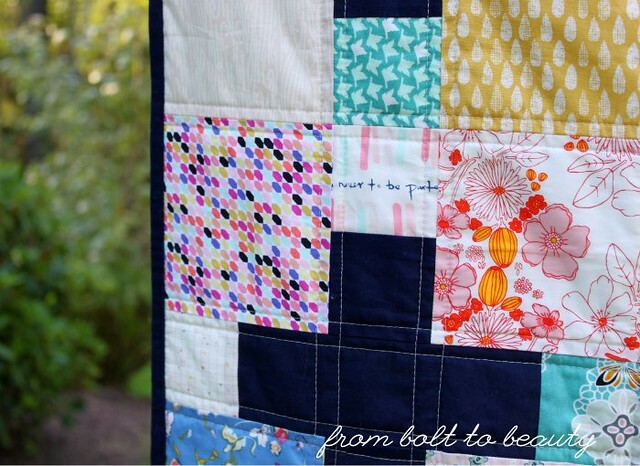 I quilted this project the same way I did my original Candy Circle quilt. I quilted along each side of the center seams and then quilted diagonally along the 2-inch squares. This approach required very little marking, and I love how the diagonals cross at the center of each edge. 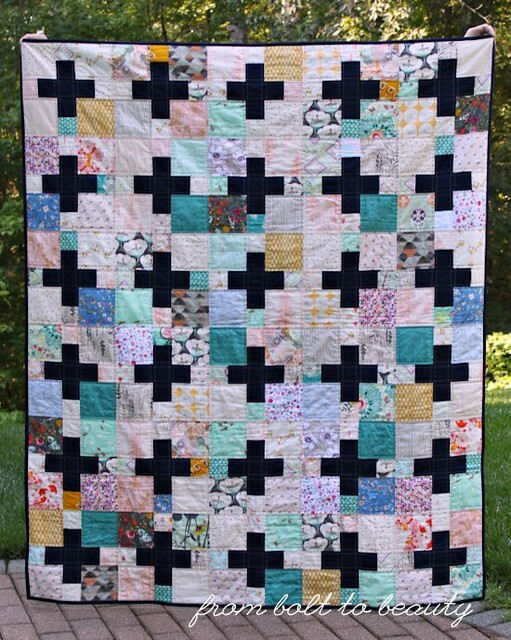 The quilting is simple, just the way I like it! This is the first of five quilt tops of mine that need to be quilted. I want to wrap up another quilt or two before I embark on something new. Time will tell if I am disciplined enough to stick to that plan! 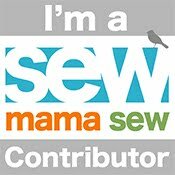 What are your sewing goals for the fall? Did you have a productive summer, or were you, like me, squeezing in sewing time while chasing after kiddos?